North Shore Dish » Blog Archive » Got Lobster? My favorite so far….. ok he ties for 1st with Caffe Italia. My favourite, too. Not only for his lobsters, but for 23 years (tomorrow) of blissfully being married to the man! Happy Anniversary, Honey! We had such a good time chatting with Paul; he talked about you and your trips to England quite fondly. You are lucky to be married to such a special guy. Thanks for stopping by, and best of luck for the next 23 years! Paul is well worth the trip to get lobsters. 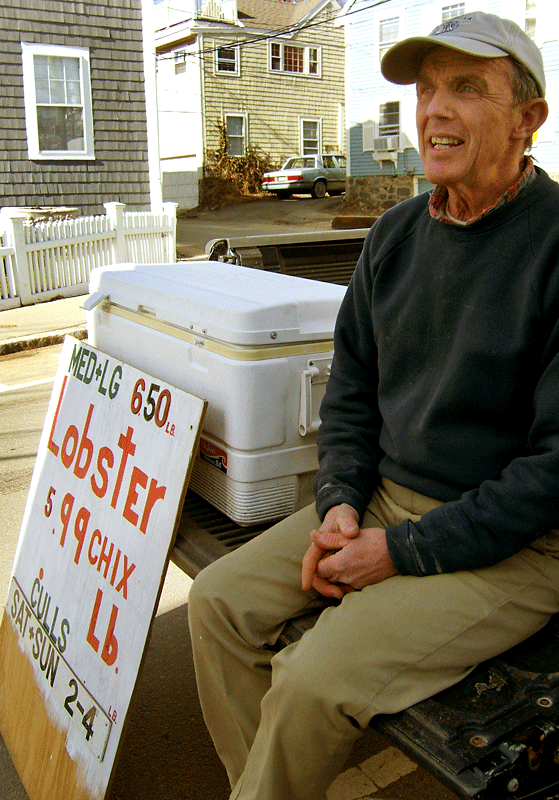 Not only are you supporting a local lobsterman, you are supporting a way of life that is rapidly going extinct. Now that my wife and I live practically across the street from the truck…we get a weekly 2 poundah! For $6.50 a pound! !